I’m glad South Pas hangs on to so much of its old stuff. Take this alleyway, for example. 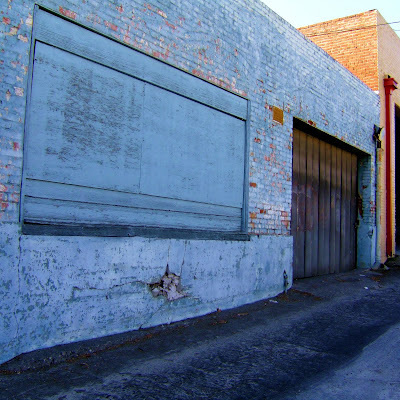 A fresh coat of paint and a new garage door would suffocate the soul of this old building. New isn’t always better. In fact, new is a construct that can create insecurity, competition and greed. But entropy? It’s comfy in its inevitability. Even the word sounds like poetry.